We are building one of the world’s greatest research libraries right here in Alberta. University of Alberta libraries serve as the nexus between people and information, guiding scholars and students on a path to greatness that promotes new scholarship, research, ideas and innovation. 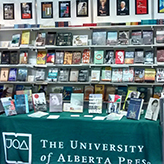 Comprised of ten libraries, spanning three campuses, housing physical collections in all disciplines of study at the university, the UAL system is at the heart of the U of A. UAlberta Press is also part of the libraries, reinforcing our shared mission to support research excellence and a dynamic intellectual journey. 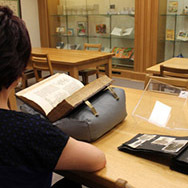 Preservation of digital and print material As a trusted steward of the scholarly record, University of Alberta Libraries (UAL) is committed to preserving the digital and print content of enduring value for long-term access. Research Data Management Good data management sustains, supports and inspires current and new scholarly research. UAL’s technological infrastructure and robust research services facilitates this lifecycle, from data collection and analysis to dissemination and potential reuse. Student Experience UAL is dedicated to enhancing students’ experience at UAlberta. We do this through our people, services, spaces and collections, and in collaboration with a range of campus partners. Supporting the Libraries' digital initiatives is a concrete way to contribute to unprecedented access to UAlberta's rich collections and archives. Through careful, high-quality digitization processes, physical resources are being made available to a global audience, reinforcing our commitment to “uplifting the whole people” and supporting research and teaching both at home and abroad. The library builds on over a decade and a half of investment in the digitization of historical material (texts, photos, maps and other resources) and is a recognized leader in areas ranging from digital preservation to research data management. Your gift in support of digitization or other digital initiatives contributes to a legacy, reflecting new ways of thinking about and accessing our collections and archives, reinforcing the University of Alberta Libraries as one of the top research libraries in Canada and home to many innovative services. 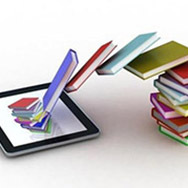 Please partner with us in creating a world-class digital library! Bruce Peel Special Collections is at the forefront of capturing and preserving our history, and we would like you to be a part of it. After all, your history is our history. And our history is the foundation of the future. Your support ensures that items with significant research potential will always be available in the public domain. Together, we can ensure that our world-class collection of more than 100,000 rare books and our significant collection of archival materials, which explore a range of local and international subjects, are preserved and available for generations to come. These manuscripts, books, photographs, and print ephemera contribute to our identity as Albertans, Canadians, and global citizens. Your gift funds additional acquisitions in these areas that support research, teaching, and learning at the University of Alberta. Scholars, students, and the general public who encounter this special repository, both now and in the future, will be eternally grateful to the key funders who helped grow this collection. 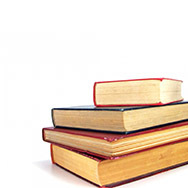 Would you have been able to finish your university degree without the library? Maybe, but it would have been a challenge! We’ve been working hard to continually offer the very best to our students. From wellness initiatives such as dog therapy in the library to clean and bright study rooms, our students love the library and they often tell us. Supporting the student experience means partnering with us in continuing to provide the very best people, services, spaces and collections to our library users. Everyone needs to feel welcome in the library, often for long periods of time that can be both insightful and stressful. Your gift will help us provide items that make up comfortable, modern and safe study spaces as well as tools that support our public services. Please make a gift in support of our students via the Library Fund, and while doing so, take a moment to let us know what you wish you’d had when you were a student in the library! UAlberta Press publishes books that make a difference—books that present important scholarship, raise awareness about pressing environmental and social issues, interpret our region, and contribute to the literary culture of our time. 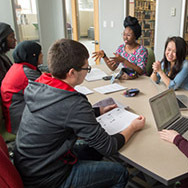 By supporting the Press, you are contributing substantively to the University's mission, its national and international reputation, and the influence of its research and teaching by means of a diverse and far-ranging scholarly publishing program that is recognized year after year with a host of awards for excellence in both scholarship and publishing. Your gift directly sustains the publishing of books that have scholarly impact, demonstrate publishing innovation, and achieve creative distinction. By giving to the Press, you become part of this exciting intellectual journey, in Alberta and around the world. University of Alberta Libraries appreciates the interest and goodwill of those who wish to support the development of our collection. You are invited to read the following policy and guidelines before contacting us regarding a prospective gift.